Are you thinking of popping over to the Hungarian capital for a stag party? Looking for a place to dance the night away? Are you ready to explore the busiest Budapest nightlife area or would you prefer to chill out in a bar with some live jazz playing in the background? 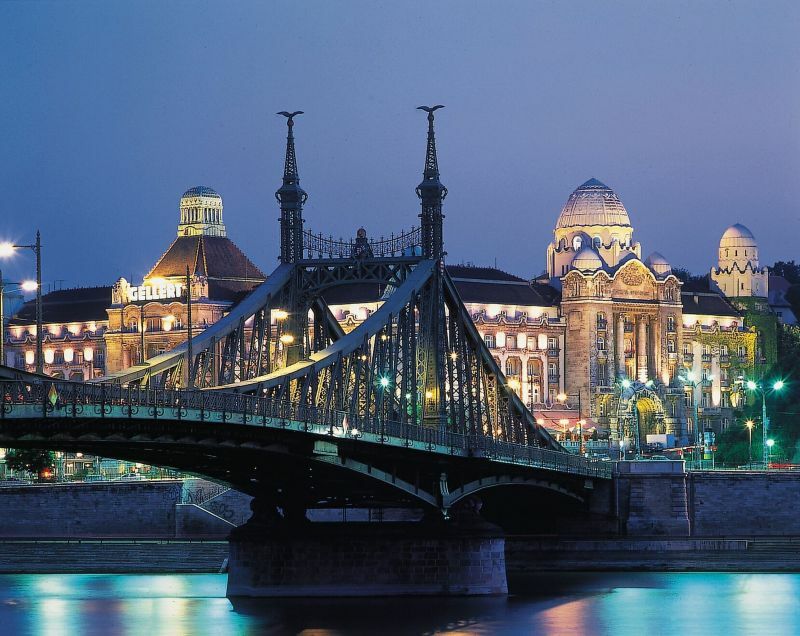 Stay with us for some top tips on how to get the most out of Budapest’s buzzing nightlife! Even when the museums, churches, thermal baths and other sights are closed, there’s still plenty to do in Budapest. 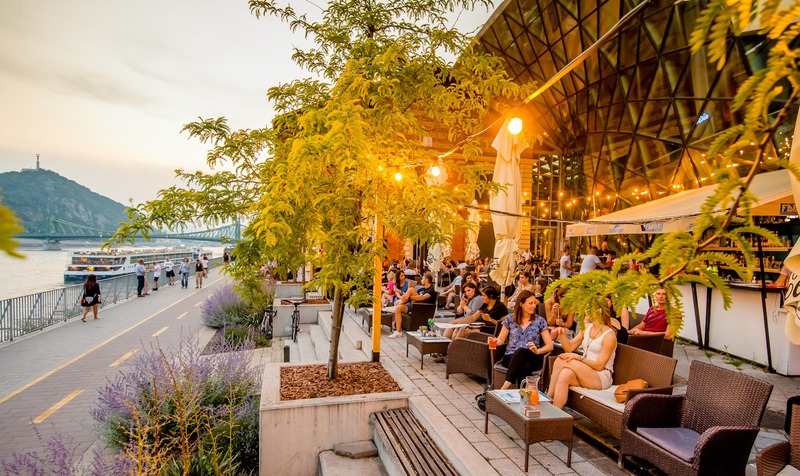 Going boating on the Danube, hanging out in some of the city’s famous ruin pubs and bars, getting down on the dance floor or just sitting by the river with a glass of wine and chatting with friends are just some of the many great ways to spend your night in this happening city. 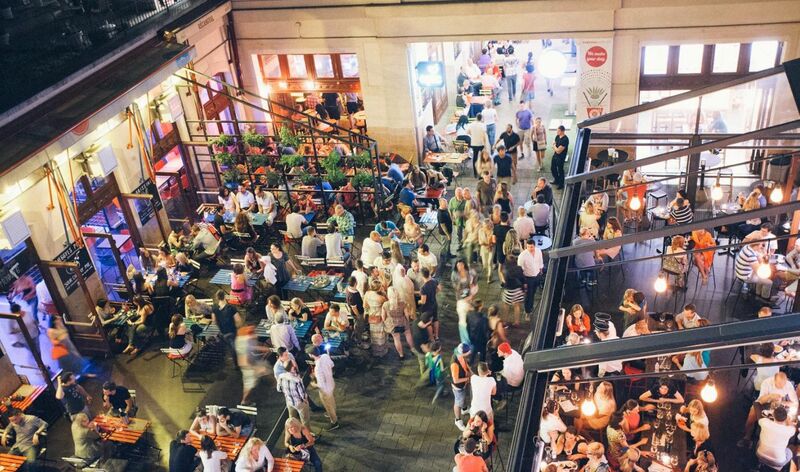 The Old Jewish Quarter (District 7) has become the beating heart of the city’s nightlife. Over the last decade, a host of bars and pubs have sprung up in the area between Deák Ferenc Square and Erzsébet Boulevard. Let’s start our trip at the square, which is at the intersection of three metro lines (M1, M2 and M3). Coming out of the Metro station you’ll soon find yourself in Erzsébet Square, which is directly adjacent to Deák Square. The Budapest Eye, which dominates the horizon, is impossible to miss from here. 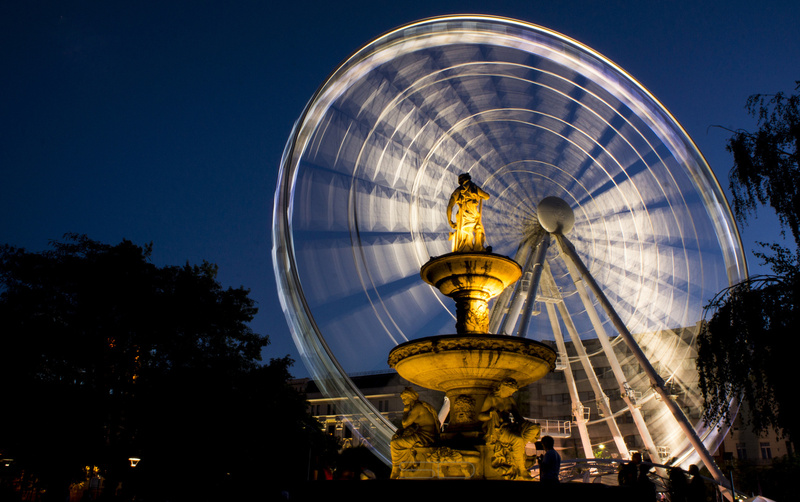 This large Ferris wheel is a great starting point for exploring the city during the night. It is open until midnight every day, and gives you a spectacular view of the capital. At the foot of the wheel, the Akvárium Klub is a must-have for partygoers, with live music and dancing almost every day. A star-studded line-up of internationally famed acts, from the Eagles of Death Metal through Sasha and Passenger to Fritz Kalkbrenner and John Mayall, have graced its stage in the past few years. Besides the concert hall, it also boasts a huge terrace with an open-air cocktail bar. Five minutes from Deák Square, at the beginning of Király Street, Gozsdu Court is open to visitors all night. Its passages and alleyways are packed with bars and great restaurants, serving high quality foods and drinks for guests. A host of wine bars, cafes, wok and tapas bars and pizzerias offer tempting treats to suit all tastes. It’s worth checking out the entertainment in the bars, too, as many DJs regularly perform in Gozsdu! Deep in the Old Jewish Quarter, Kazinczy Street is one of the most bustling parts of the city for staying out all night. Before heading for this nightlife sanctuary, it’s worth stopping in at the Léhűtő pub, which offers the biggest selection of craft beers in town. If you’re having trouble choosing what to try, just ask the barkeeper, who will help you find the ale that best suits your tastes. When you get to Kazinczy Street itself, you’ll find that there’s a pub, restaurant or nightclub on every corner, but the main attraction is Szimpla Kert, which is the oldest ruin pub in the area. Ruin pubs came into fashion around the turn of the millennium, when disused old buildings were rented and turned into pubs, with their interiors decorated with an eccentric array of vintage furnishings. Szimpla was the pioneer of this movement that breathed new life into these formerly neglected parts of the city. 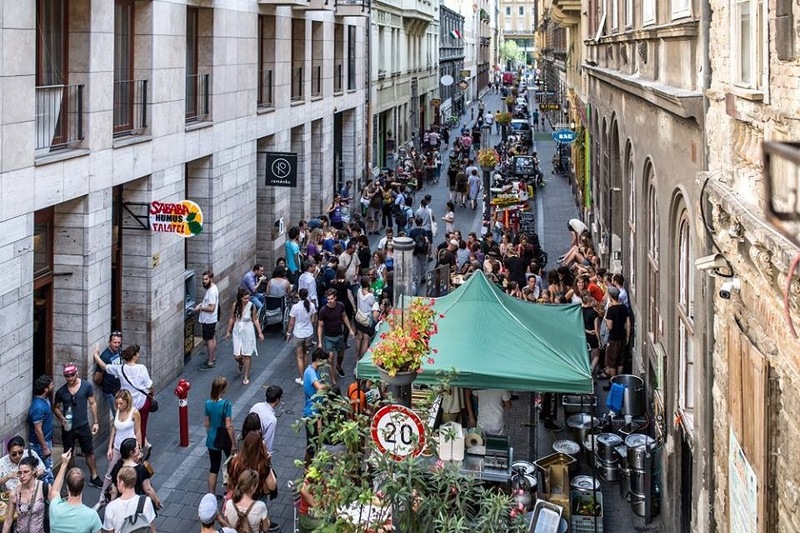 Not far from Szimpla is Ellátó kert, which has an open-air courtyard and a unique atmosphere. In the winter it gets a temporary roof, so people can enjoy the place all-year round. Their burgers and tacos are not to be missed! A few steps away, in Akácfa Street, Fogas ház is another great example of the ruin pub movement, but with an artistic twist. To this day, it is also used as a creative space for local artists and artisans. Besides the catchy design, it has multiple dance floors, including the Lärm, which caters to electronic music fans. 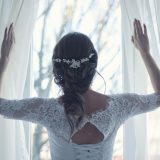 This party complex is never boring, so if you want let your hair down, put on your dancing shoes and go to the Fogas ház. For LGBT people, the Alterego Club could be a good choice of venue, although it’s situated a little farther away, close to Nyugati Railway Station. The main boulevards of Budapest encircle the inner districts of the town. They have the heaviest traffic, but also the most buzzing nightlife. The No. 4 and 6 trams run along the boulevards night and day, linking up various nightspots of the city. There are plenty of cheap bars and coffees on these boulevards, which are especially popular among stag and hen parties, although local youth also like to hang out here. The bars can get very crowded, especially in weekends, so beware of pickpockets! Take the No. 4 or No. 6 tram, which run all night and day, towards District 9 and get off at Boráros tér. From here there are several ways to go. You could take the No. 2 tram for three stops to Vágóhíd, and walk across the road to Budapest Park. In the summer, this 11,000 m2 open-air venue hosts outdoor concerts, exhibitions, parties and other performances by a variety of artists representing different styles and genres. If you’re feeling thirsty after a concert and want to try another craft beer house on the way back to the centre, the Élesztő is definitely the place for you. The first cask ale bar in the region offers 21 quality Hungarian craft beers on tap, but often also hosts guest beers from foreign breweries. Besides the beer, it has a wine bar, coffee shop and high-class kitchen. On the opposite side of the Boulevard, Ráday Street has become a fashionable place in the last decade after being pedestrianised and restaurants began springing up in the area. Nowadays it is a popular destination for those seeking gastronomic adventures, but even jazz fans won’t be disappointed! A fashionable venue is the If jazz café, which hosts live sessions every day, while its huge selection of wines and craft beers will leave you spoiled for choice. Nearby, down by the river, a park and the Bálna provide a good time-out. The park is busy with children during daytime, as it has a large playground as well as a basketball court. Then in the night, young couples and groups of friends take over the place to chill out, enjoy a drink, chat and enjoy the spectacular views of the river and Buda. In the nearby building, named “The Whale” (Bálna) after its shape, fancy bars await the night owls among us. Unfortunately, these bistros are a bit overpriced, so be prepared to dig deep in your pockets. 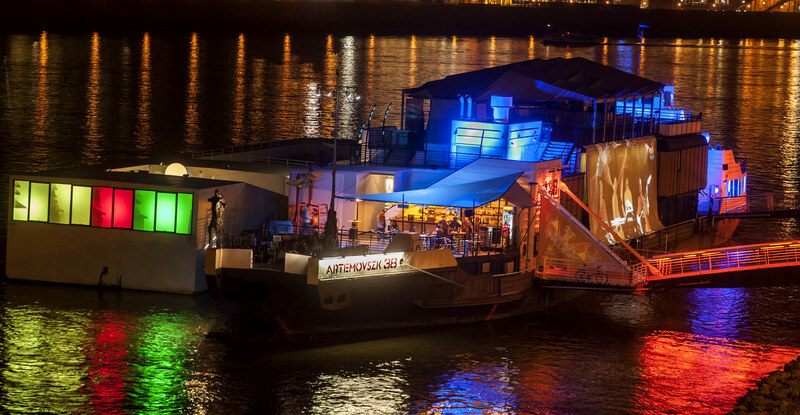 If you take one more stop on the tram from Boráros Square, on the other side of the river you’ll find the A38 boat moored alongside the embankment. Although it’s a popular venue for concerts throughout the year, it also regularly holds film screenings and other cultural events. This is one of the most important performance spaces for bands from abroad, especially underground bands both famous and obscure, regardless of genre. The Buda side is less busy than Pest during the night, but if you’re looking for some trendy coffees and bars that open until late, search for Bartók Béla út, between Móricz Zsigmond Square and Gellért Square, and you’ll find plenty of places to sit down in, such as Szatyor or Kelet. Budapest is famous for its thermal baths, fed by the many hot springs beneath the city that were first used by the Ancient Romans, and revived later by the Turks during their occupation of the country in the 16th Century. The geothermal water is good for your health, as it is rich in minerals that help to rejuvenate your body. The hot spring waters are especially beneficial for sufferers of back pain and rheumatism. During the day, all the famous baths in Budapest are a great place to visit. For more information, see our detailed article about the best thermal baths in Budapest. But some of the well-known baths also open at night, with special attractions to ensure a unique and unforgettable experience, like the “sparties” held at Széchenyi Baths every Saturday night. 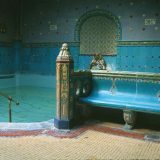 Here you can get into the groove while immersing yourself in the unique atmosphere of the country’s biggest thermal bath. Or if you are looking for a more laid-back spa experience, check out the Rudas Thermal Bath on Fridays and Saturdays, from 11 pm. The rooftop of the bathing complex commands a stunning view of the city, especially in winter when it is snowing. Don’t miss it! Boating on the Danube at night is a spectacular and unique way of seeing Budapest, and there are many ways to do it. The official cruise operator is Mahart Passnave, which offers scheduled, 90-minute-long cruise trips at a fair price. However, if you’re looking for a more extreme experience, check out the party boats that depart from 22.30 onwards every Friday and Saturday from the heart of the city. 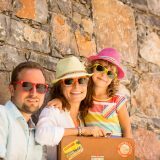 This is one trip you’ll be sure to share on Instagram! If you’d like to hear some jazz on the water, the Columbus boat is the answer. Besides its restaurant, you can enjoy the breathtaking views of Buda Castle to the accompaniment of contemporary jazz music. Once in a year, in August, Óbuda Island becomes the hottest party spot in the whole region. 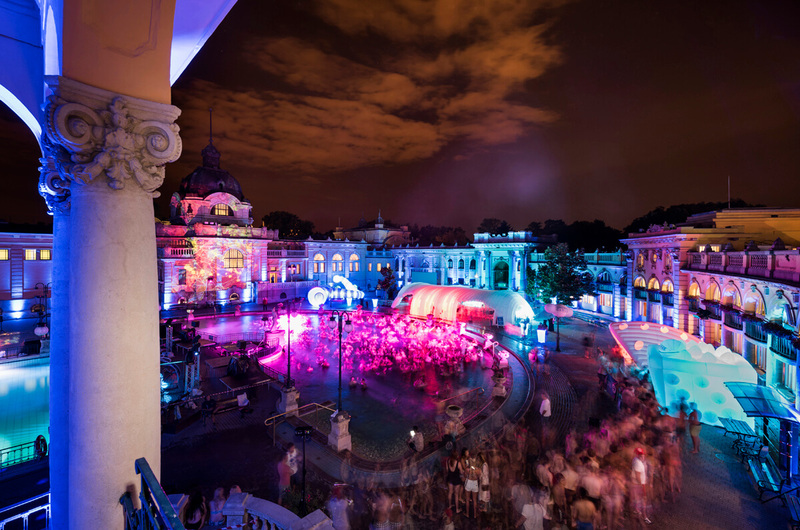 Budapest’s biggest musical event hosts some of the most famous bands from all over the world, and attracts thousands of young people. The island is in the northern part of the city, half an hour from the centre. Not to be missed! If you’re getting ready for a long night out, it’s best to start with a good dinner. All the places mentioned above offer a variety of good restaurants, serving an exciting mix of traditional and contemporary cuisine. For vegetarians and vegans, the Hummus Bar chain comes highly recommended. It has 14 restaurants in various locations around the city. For lovers of Italian cuisine, there is the Pomo Doro, the Toscana, the La Coppola, the Il Terzo Cerchio, Ape Regina or the Venezia. For Jewish meals check out the Macesz bistro, the Kosher Hanna, or the world-famous Rosenstein. If you’d like to sample some traditional Hungarian dishes, check out the Gundel, the Vörös postakocsi, the Kiskakukk, the Pozsonyi, the Hungarikum Bistro, or the Márványmenyasszony. However, most restaurants close at around 23:00, with only a few staying open until midnight. But don’t worry, if you stay out late and are feeling peckish, there are kebab shops and pizzerias to be found all over the city, as well as all-night grocery stores in most areas. If you’re a night owl who’s planning to stay out late, it’s important to live close to the city centre, because nobody likes to spend a long time travelling back to the hotel once the party’s over. Choosing a downtown hotel will allow you to have a shower and get off to sleep in no time at all. Besides being a great place to stay, the Hotel Gellért offers thermal spa and wellness services, so you can truly unwind after a night out on the dance floor. 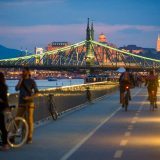 It is close to Rudas Baths, Bálna and the Buda nightlife. 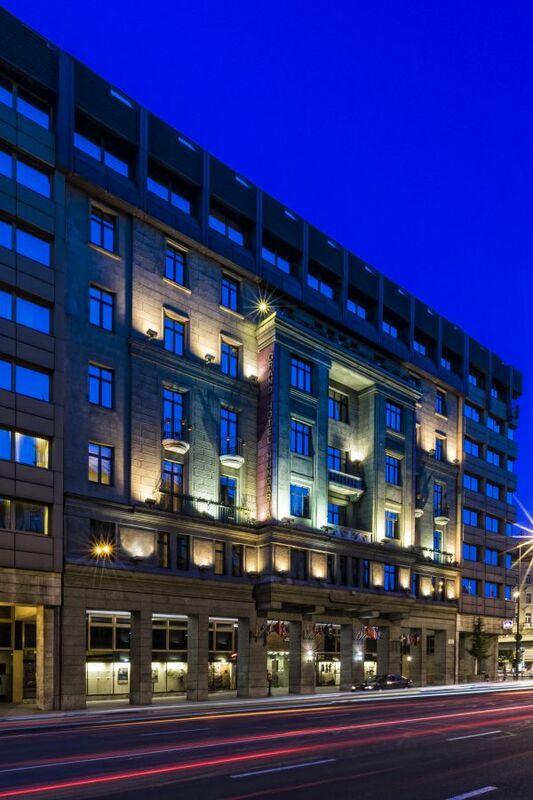 Hotel Astoria is within walking distance of Gozsdu Court or Kazinczy Street, so you won’t need to worry about getting a taxi or night bus back. 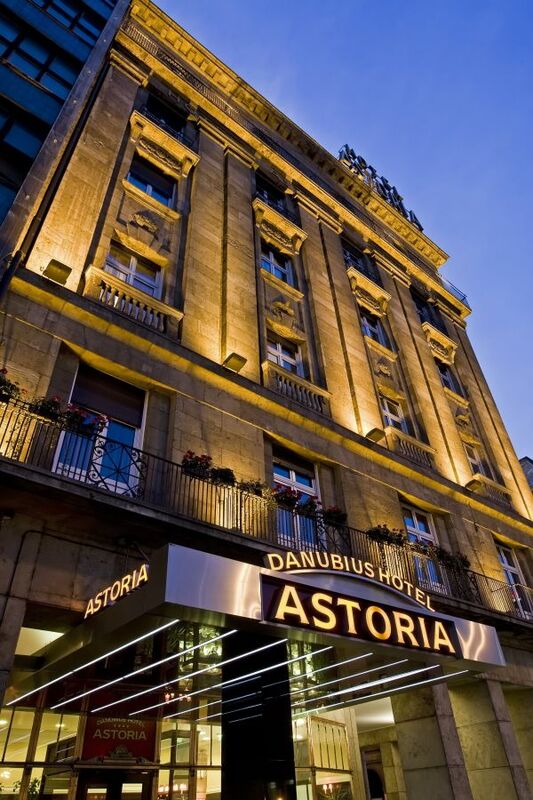 Astoria is within walking distance of Erzsébet Square, Gozsdu Court, Kazinczy Street and the surrounding ruin pubs. 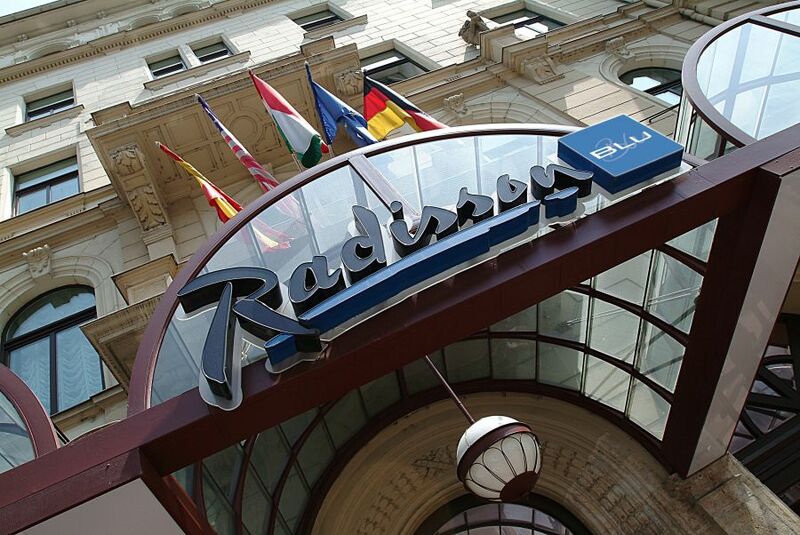 Hotel Radisson Blu offers a stylish, peaceful place to stay on the bustling Grand Boulevard. It’s a stone’s throw away from the bars on the Grand Boulevard, and very close to Kazinczy Street and the heart of the city’s nightlife area. 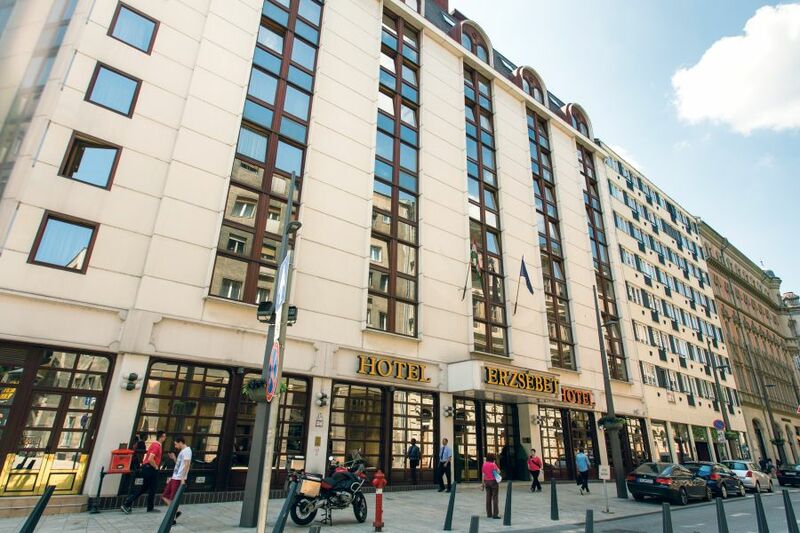 Hotel Hungaria is next to the busiest railway station in Pest, but still close to the centre. It is situated only two stops away from the night spots and bars of District 7, and the No. 24 tram takes you directly to the Budapest Park concert venue. 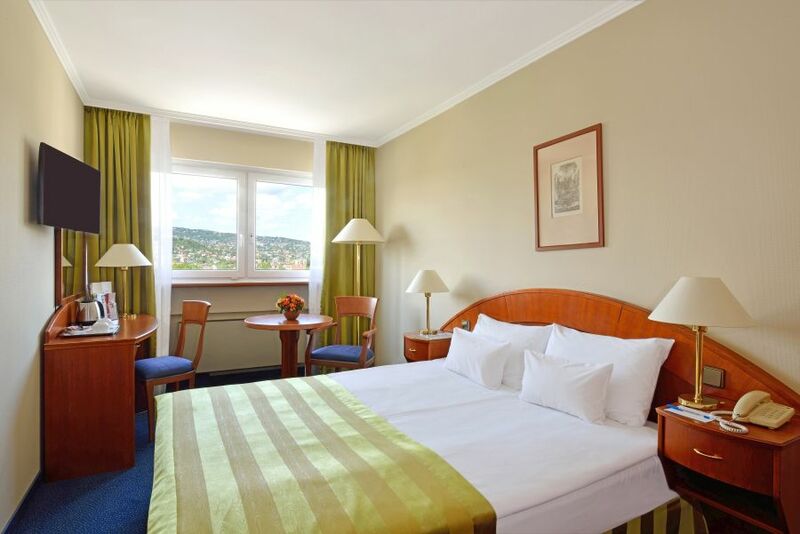 Hotel Erzsébet City Center is a modern hotel within easy reach of the River Danube, Deák Square or the Bálna. Hotel Flamenco is at the calm part of Buda, but very close to the nightlife area of Bartók Béla út. It’s easy to get around Budapest, thanks to its well-organised public transport network. A regular bus service from the airport to Deák Square runs every 20 minutes. This is the cheapest direct transfer from Liszt Ferenc Airport. In the centre, the fastest way to travel is the metro. There are four metro lines and four suburban light railway (HÉV) lines, which operate until late in the evening. If you stay out after midnight, you can use the scheduled night bus services that run all over the city. Tickets are available at main metro stations and ticket machines. On the night buses, you can buy the tickets from the driver. 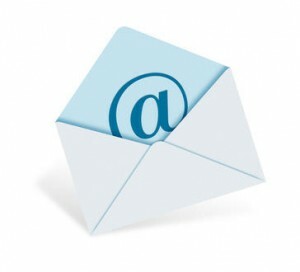 For further information, visit the website of the transport company. Taxis are more expensive, and not always available at busy times. Beware of unlicensed taxis that may charge excessively. If you decide to take taxi, it is better to use licensed cabs from reputable companies like Főtaxi, 6×6 taxi, or Taxiplus. In Hungary it is better to order a taxi by phone rather than just flag down a car, to avoid being ripped off by an unlicensed driver. In the main squares there are also tax ranks. 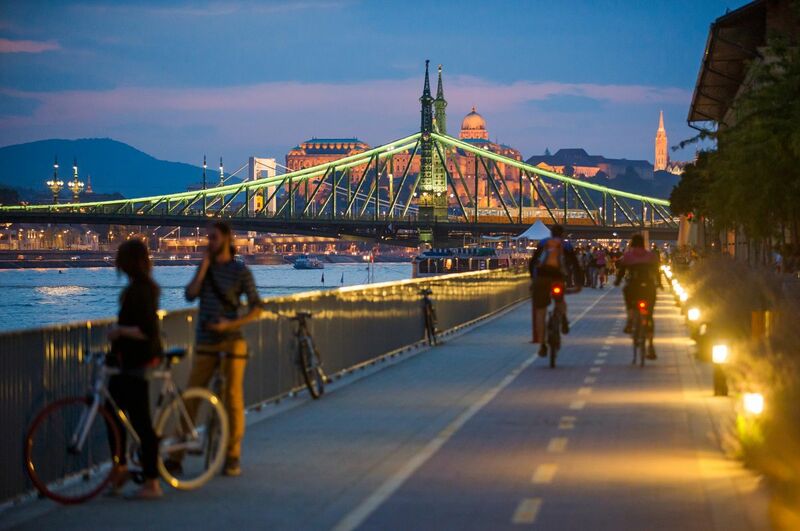 Cycling is another way of getting around Budapest, as there are plenty of bike routes and lanes to ride on. Public bikes are available everywhere in the city centre, at a very reasonable price. Nevertheless, bear in mind that some car drivers may drive aggressively, which can lead to accidents. So always take care when riding a bike! 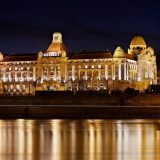 Although Budapest is exciting every night of the week, the biggest parties are on Fridays and Saturdays, so coming for a long weekend will allow you to make the most of your trip. The peak season for tourism is the summer, but there are plenty of indoor and outdoor programmes at the other times of the year. Prepare yourself for the extreme weather! In summer, the temperature can rise above 34-35 degrees Celsius, while in winter it may fall below -10 degrees. Summer storms can bring heavy downpours. So we advise you to dress appropriately for the season! Like all capital cities in Europe, Budapest has its own risky and high-crime areas, but compared to other cities in the world it is relatively safe at night. Violence and homicides are rare, as are rapes or unprovoked attacks. However, thefts and pickpocketing are quite common, so please take care of your belongings at all time, especially in busy places, like bars, trams and buses. Avoid badly lit streets and stay close to your friends if you are tired or drunk. If you are the victim of a crime, or if you see an incident, call 112 and tell to the operator that you need help. The main squares and streets in the downtown area are under CCTV surveillance. Most establishments accept credit and debit cards, including restaurants, bars, shops and taxis. Street vendors or small shops may insist on cash only. The national currency is the Hungarian forint (HUF), which you can get at bureaux de change. However, there are huge differences between the rates offered by money changers. The worst rates tend to be offered at the airport, the railway stations and in banks. The best policy is to exchange currency in a larger bureau such as Northline or Correct Change. Avoid people in the streets offering better rates than the licensed bureaux, as they are most likely out to scam you.